While state Democratic infighting continues, it’s looking like the Republican and Conservative parties will head into the governor’s race unified behind Dutchess County Executive Marcus Molinaro. The Conservative Party executive committee voted Friday to recommend the party back Molinaro over state Senate Deputy Majority Leader John DeFrancisco at its May nominating convention. 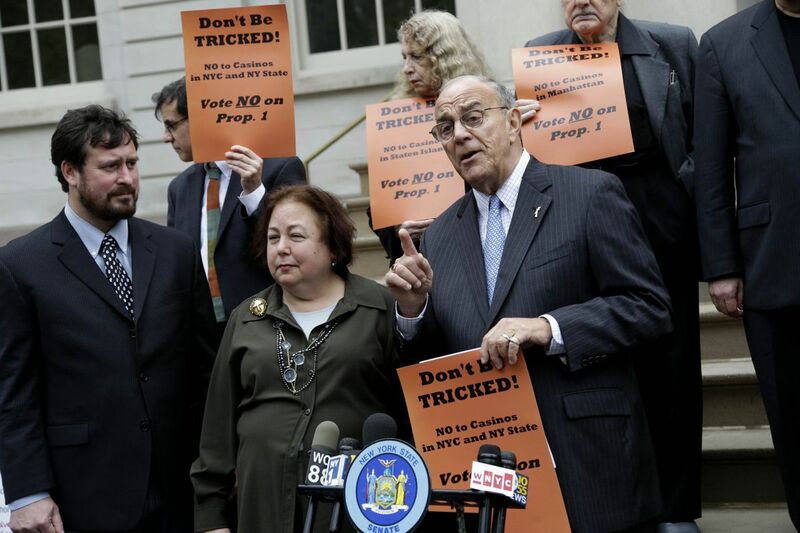 “He provides the vision to mount a good campaign to take on Andrew Cuomo,” he said. DeFrancisco had some support in the room, but once it became clear Molinaro was the choice, the vote to recommend him was unanimous, Long said. Molinaro already has picked up support from enough county Republican chairs to guarantee—if it holds—that he’d be the party’s designated candidate coming out of next month’s nominating convention. DeFrancisco has said he won’t mount a primary challenge if he does not get the GOP nod. The heavy support among Republican county leaders played a role in the Conservative Party executive committee vote, Long said. 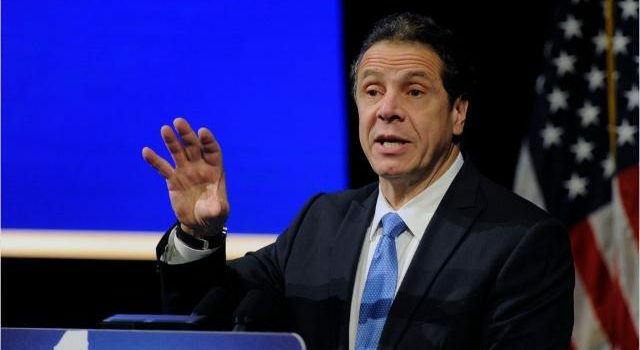 He said it’s important for the Conservatives and GOP to be unified in order to take on Cuomo, who has more than $30 million in his campaign account and far better name recognitition. Many Republicans and Conservatives believe Molinaro’s chances are boosted by the fact that actress Cynthia Nixon, who is challenging Cuomo in the Democratic primary, has secured the endorsement of the Working Families Party. Even if she loses the primary but stays on the progressive WFP line, she can draw votes away from Cuomo on the left, which could mean the Republican candidate would need less than 50% of the vote to win. “That will help Marcus make this race competitive,” Long said. 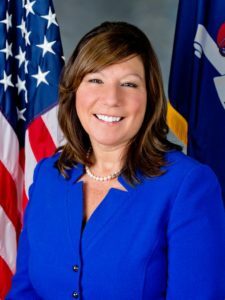 State Assembly Minority Leader Brian Kolb on Monday endorsed Marc Molinaro in the Republican race for governor, a month after Kolb abruptly dropped out of the race. Kolb, R-Canandaigua, chose to give his support to a former Assembly colleague and longtime friend over state Sen. John DeFrancisco, R-DeWitt, whose core of support is in the state Senate. “I can say with confidence that he is everything Albany needs, because he is everything that Albany is not,” Kolb said of Molinaro in a statement announcing his endorsement. 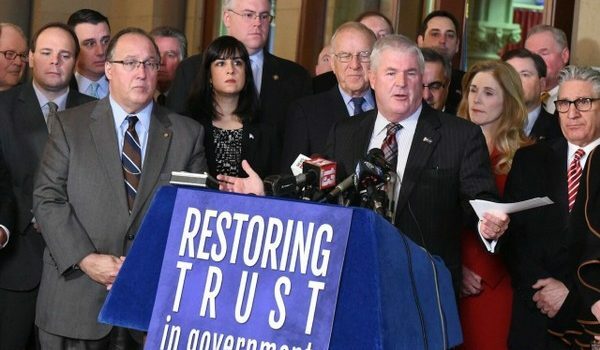 Kolb is among more than two dozen members of the New York State Republican Conference who were expected to publicly endorse Molinaro, the Dutchess County executive. Among them is state Assemblyman Will Barclay, R-Pulaski, the first GOP member of the state legislature from Central New York to publicly part ways with DeFrancisco in the governor’s race. Barclay told syracuse.com in an interview that it was a tough decision since he has great respect for DeFrancisco and Molinaro. But in the end he backed Molinaro, noting the two became good friends in 2006 while serving together in the Assembly. Barclay said he liked the fact that Molinaro, 42, is a relatively young candidate who has a track record of working with people to bridge the political divide. “I think he has the ability to bring people together and look at the executive branch a little differently,” Barclay said of Molinaro. Molinaro surged past DeFrancisco on Friday to become the GOP front-runner, only a week after Molinaro told Republican leaders he planned to run for governor. Molinaro has received endorsements from GOP county committees representing more than 40 percent of the weighted vote at the Republican nominating convention, due to take place in May. DeFrancisco has locked up about 20 percent of the vote. Anyone who receives more than 50 percent of the convention vote automatically receives the GOP ballot line in the November election against Democratic Gov. Andrew Cuomo.